Add casual elegant styling to your outdoor living area. 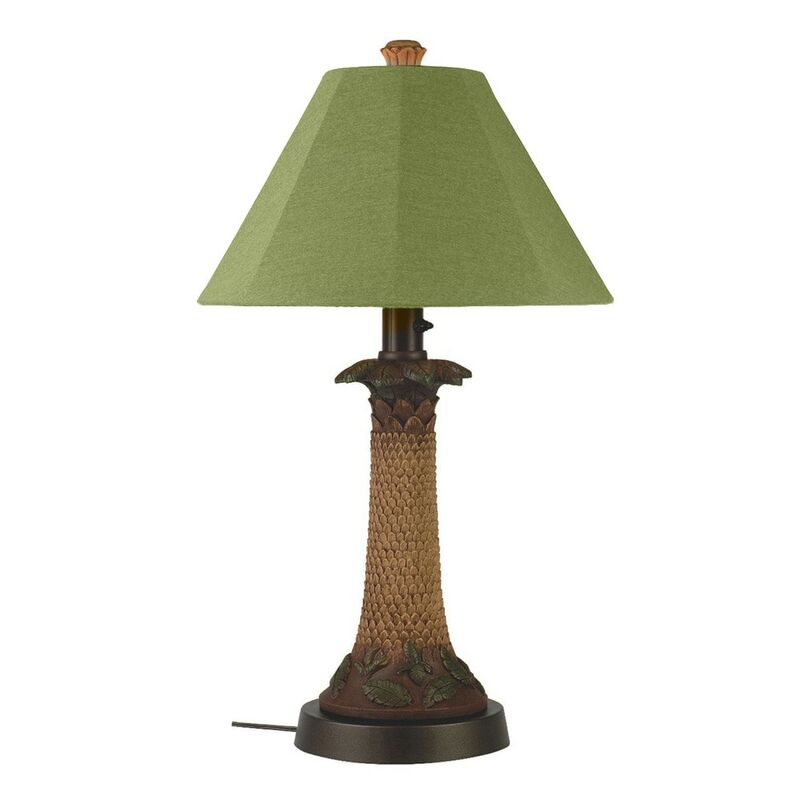 Features all resin construction with a heavy weighted tropical style base. Completely weatherproof with a Sunbrella shade, two level dimming switch and a 16 ft. cord. Acrylic waterproof light bulb enclosure allows the use of a standard 100 watt light bulb or comparable LED or CFL bulbs.